Product prices and availability are accurate as of 2019-04-20 01:12:42 UTC and are subject to change. Any price and availability information displayed on http://www.amazon.com/ at the time of purchase will apply to the purchase of this product. 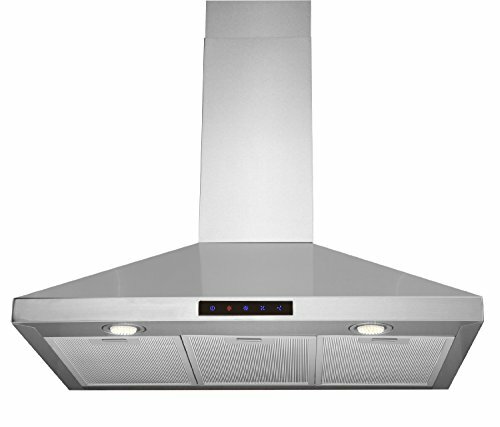 Kitchen Bath Collection presents the STL90-LED, a 36-inch wall-mounted stainless steel kitchen range hood with high-end features at a competitive price! 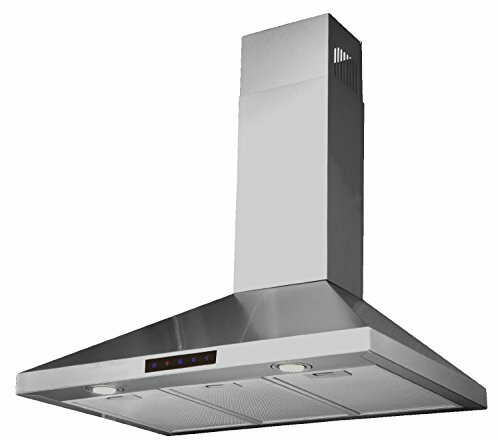 This range hood features a two-piece adjustable chimney with sleek curved edges, no visible welded seam on any of the three faces of the chimney, touch screen control panel, and three speed settings. 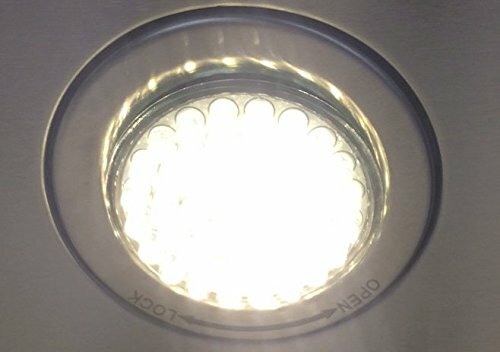 It also features two high-end LED lights, each with 49 bulbs. Competing models have an average of 15 bulbs per light -- that's less than 1/3 the brightness! Don't settle for a cheaper model with poor lighting -- good visibility is important while using your stove! Also included are a flexible aluminum duct for easy attachment to the wall or ceiling, aluminum micro-cell grease filters (dishwasher friendly), and a UL-certified motor. 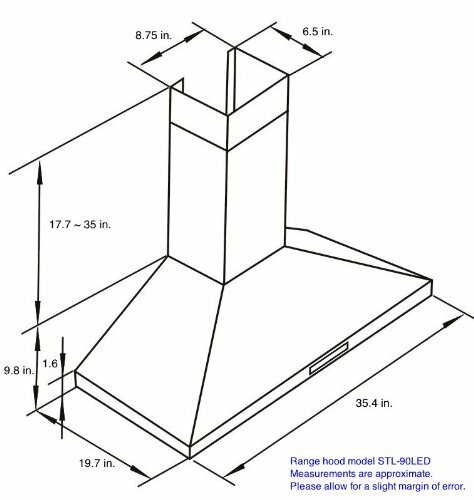 This model also includes charcoal carbon filters necessary for optional vent-less installation. No additional kit is required! Made from corrosion-resistant 304 stainless steel and built to last. Dimensions: 36 inches wide x 19.7 inches deep. Height is adjustable to a maximum of 41 inches. 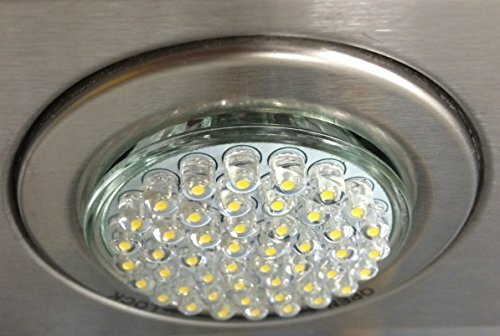 High-end LED lights are 3x the brightness of most competing models! 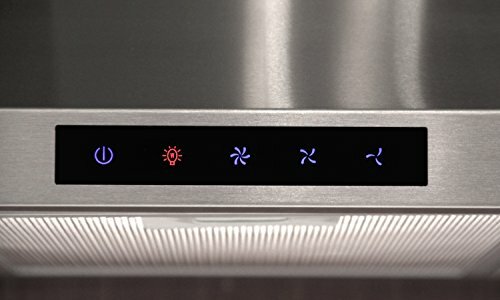 Touch screen control panel 3 speed settings Two-piece adjustable chimney has no visible welded seams on any of the 3 sides Capable of ventless installation with no additional kit!